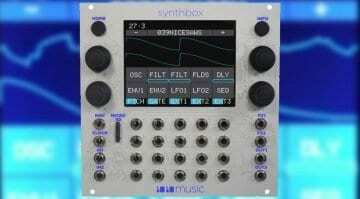 Make Synths Not War’s Dave “Morocco” Field has just announced a neat little 4-voice polyphonic Euorack module that contains an emulation of the Solina String synthesizer. 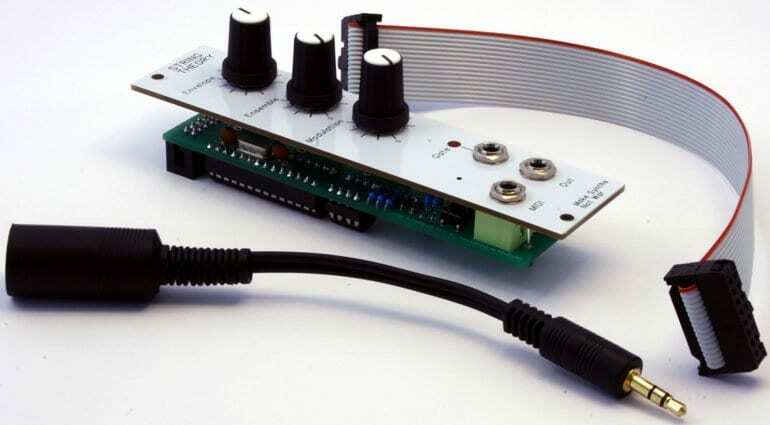 It’s simple, elegant and could bring some interesting soundscapes to your rack. 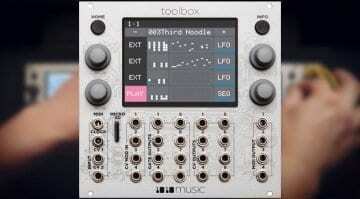 The module has three knobs to control Envelope, Ensemble and Modulation parameters. And then there are three patch sockets, one is for MIDI (with a supplied adapter), one for audio output and one for gate output. The input/output choices are quite interesting. Polyphonic CV control is complex and becomes a whole other thing in terms of implementation and cost. 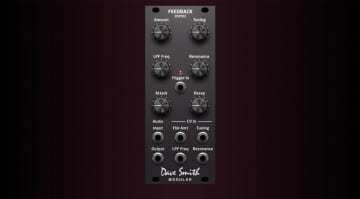 To bypass all that Dave has made it a MIDI-only module. That does fly in the face of modular rather but does make it far easier to use as well as keeping the price down. Trying to patch in 4 notes of CV is difficult and takes a large rig, whereas many outboard sequencers, controllers, DAWs and other modules might provide the interface you need to run it in your rack. On the CV side, the only bit of voltage involved is in the gate output. This is to allow you to trigger something else in your rack whenever you play a note. So you could trigger an envelope on a filter or something like that. There are no other CV inputs or outputs. On the original project, there was a CV input for both the Ensemble and Modulation parameters and a note to say that it was one of the key things he wanted to implement. It’s slightly strange that these have now gone, but I guess that it again makes the module simpler and cheaper. I spoke to Dave about dropping the CV controls and he said that they didn’t really do very much and would have pushed the module to 8hp rather than 6hp. He felt it wasn’t really worth the extra HP. The discussion about the module on Facebook is really interesting. Most of it circling around the choices Dave made on MIDI and CV implementation. From my perspective, I can see that a fully CV controllable, polyphonic Solina String Synth would be awesome but also a massive undertaking and a very different module. 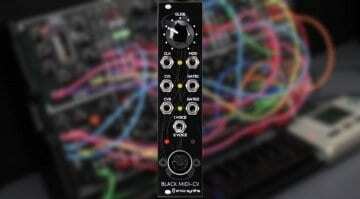 It would be like comparing the Music Thing Radio Music module with the Make Noise Morphagene. Whereas what we have is a neat little polyphonic string source, right in your rack, for a ridiculously reasonable price. StringTheory should be available in about a week and will cost GBP 45 for the DIY kit and GBP 60 built. But you’ll have to get in line behind me. 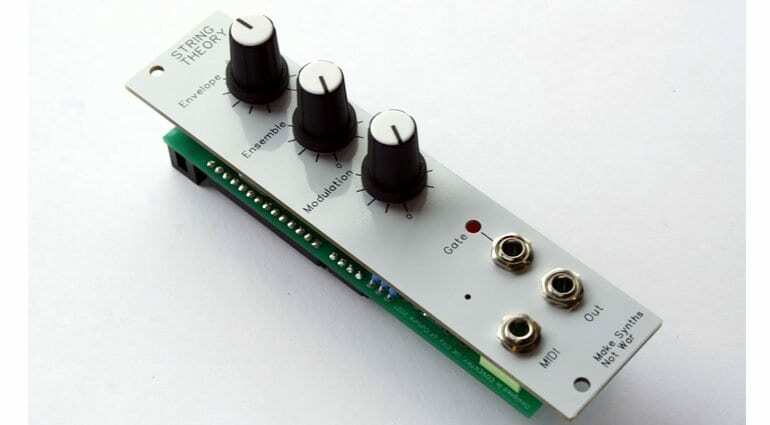 They will also be releasing StringTheory as a stand-alone synth in a few weeks – nice! Make Synths Not War website.